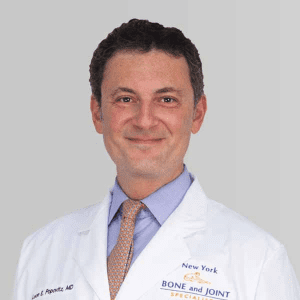 WHAT CAUSES AC JOINT PAIN AND INJURY? Pain in the AC joint can be caused by a traumatic injury such as a direct fall onto the shoulder or a blow to the top of the shoulder blade. As a result, it’s a common injury in contact sports such as football, hockey, and rugby. Patients will likely notice a protrusion from the top of the shoulder, as well, and the shoulder will seem to hang lower than it normally does. 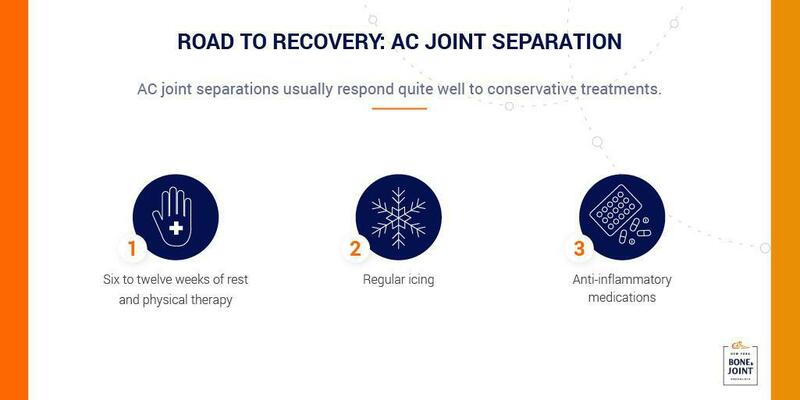 The good news if you’ve suffered an AC joint separation: injuries of this kind generally respond favorably to conservative treatment, with most patients completely recovering without surgery in six to twelve weeks. A typical rehabilitation plan entails some combination of rest, icing, anti-inflammatory medications, and physical therapy. Bracing the separated joint in place or setting the shoulder in a sling may diminish pain and any feeling of instability in the clavicle bone. 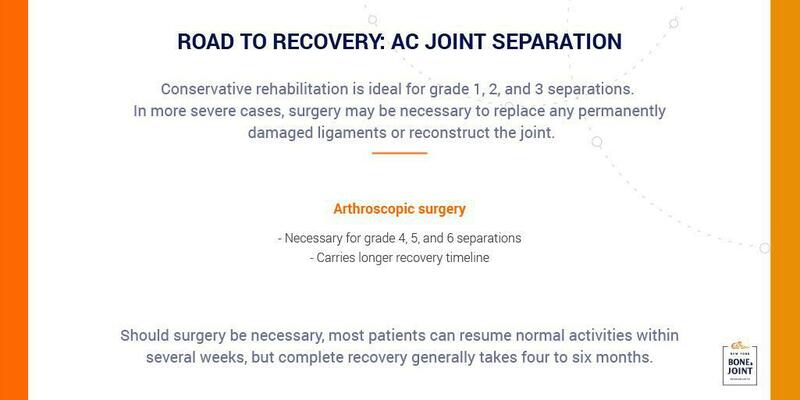 While most AC separations don’t require surgery, more severe cases may need to be repaired with a short arthroscopic procedure. During this procedure, the surgeon replaces any torn ligaments with tissue taken from the patient or a donor and stitches it to the joint. In some cases, the surgeon may completely reconstruct the joint with ligaments sourced from elsewhere in the shoulder. In any case, you will be able to return to your day-to-day activities relatively quickly, but most patients require four to six months of physical therapy before returning to more rigorous physical activities.